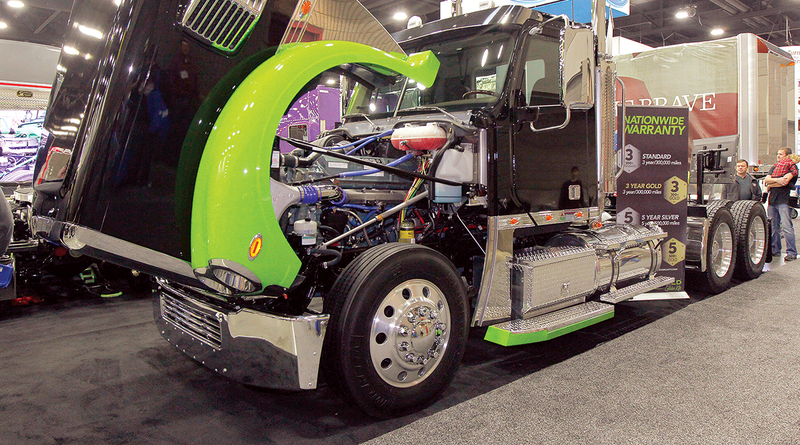 A misconduct investigation completed by Tennessee Technological University concluded that university researchers erred when stating in an industry-funded glider kit study that emissions from the trucks are as clean or cleaner than those from newer trucks. The school described as “inaccurate” its earlier conclusion that “optimized and remanufactured 2002-2007 engines and OEM ‘certified’ engines performed equally as well and in some instances outperformed” engines that were compliant with 2010 U.S. Environmental Protection Agency regulations. This statement was included in an Oct. 23 letter that university vice chairman of the board of trustees Trudy Harper sent to Tommy Fitzgerald, the CEO of Fitzgerald Glider Kits, which paid for the research. The letter also was sent to the EPA’s acting administrator, Andrew Wheeler, and Rep. Diane Black (R-Tenn.). Glider kits are new chassis and cab assemblies powered by older and often rebuilt engines. The 2017 study has been at the center of a fight over the EPA’s attempts to loosen production limits on the trucks. The EPA cited the Tennessee Tech study in a proposal that year to reverse caps on annual glider kit production enacted by the Obama administration. Fitzgerald is a proponent of repealing the caps, which would limit how many gliders a shop may produce each year. Tennessee Tech did, however, defend its research methods. On two occasions, the Trump administration has unsuccessfully attempted to remove the glider production cap, a provision in the Obama-era Phase 2 Greenhouse Gas Emissions and Fuel Efficiency Standards for Medium- and Heavy-Duty Engines and Vehicles. Last November, then EPA Administrator Scott Pruitt issued a proposal to repeal the provision that caps at 300 the number of gliders each manufacturer can build annually. The second attempt came in July when Wheeler briefly allowed unlimited production of the gliders through 2019. He withdrew his action after environmental groups and several attorneys general filed lawsuits attempting to keep the Obama administration cap in effect. Earlier this month, several House Republicans asked the EPA to apply a rarely used regulatory provision to grant an extension that would for the next five years allow manufacturers to build unlimited numbers of glider kit trucks. The letter said that EPA has the authority to remove the production cap for five years under a provision of the Administrative Procedure Act. The group added that the extension would provide the EPA with additional time to begin a “thoughtful and appropriate” rulemaking for the industry. “It appears that this legal approach is a long shot,” Glen Kedzie, energy and environmental affairs counsel for American Trucking Associations, told Transport Topics about the congressional effort. “I would say the supporters are trying to check every potential box they can think of to keep the attention focused on the issue.” ATA opposes eliminating the production cap. In its current regulatory semi-annual “unified agenda” listing on the status of EPA issues, the agency said the glider issue is a long-range one. The EPA inspector general is in the process of conducting an audit of a separate EPA study that was requested by Republican members of Congress. The 2017 EPA study concluded glider trucks can emit 43 times more nitrogen oxides and 55 times more particulate matter than trucks in compliance with newer federal emissions standards.